T-mobile’s smartphones last longer on one charge? You know, when it comes to choosing a carrier, there are a lot of of criteria you have to go through to choose what is best for you. Devices options, coverage in your area, etc… But let’s just that aside, and say you live in the area that all the biggest major carrier is covered, like the SF Bay Area. Also, you are looking phones that are available everywhere, like the Galaxy 5, S4, HTC One M8 and M7, well, where does it go on from then? All the Big Four (Verizon, ATT, T-mobile and Sprint) have that phone and great reception. Well, here is one reason why you should consider T-mobile and not the other three. Laptop Magazine did an experiment on the Galaxy S5, S4, HTC One M8 and M7 on the big four carriers mentioned. Devices that were tested had their Wifi turned off, brightness to a consistent level and position them where they can get a strong cellular signal. Then, the magazine, but they through a heavy use of web-surfing until their battery was completely used up, magazine, but what they found after this test was quite surprising. 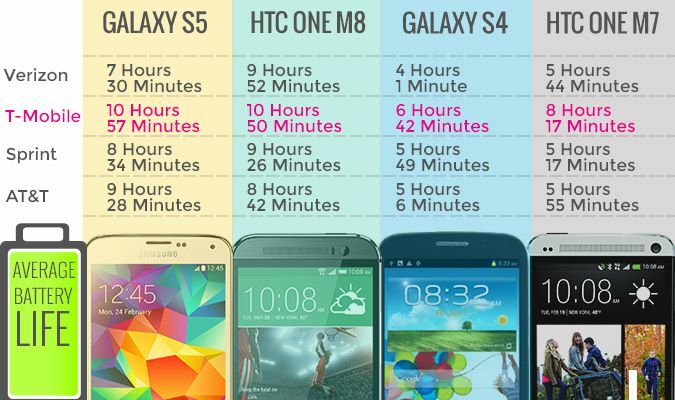 After the test, all 4 handsets that were in the experiment lasted longer than all the other carrier, especially with the original HTC One, with about three hours more than AT&T, Verizon and Sprint on average. So then you would ask: why is T-mobile doing so much better than other carrier? 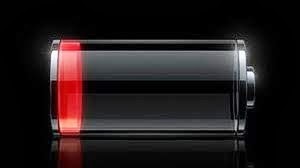 A lot of us believe that is the carrier’s pre-installed software, which Sprint, AT&T and Sprint is quite heavy on, and those apps keep running in the background, drained the battery. Also, let’s keep in mind that non-bloatware handset like iPhone and Nexus have not been in the test.